All Prices Remain the Same, for the 3rd straight year! Reserve one today for your upcoming Family or Work outing, INFO HERE. 1/2 price rentals on Tuesdays INFO HERE. Click here for pass rates & details. 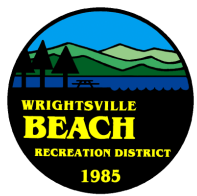 For close and affordable fun, come to Wrightsville, where there's actually something for everyone. Memorial Day Weekend - Labor Day. Service dogs allowed free of charge with documentation. CLICK HERE for our dog policy details. Please contact us via email or phone with all your questions. just write "sign me up" include your name and town of residence . We do not share our list. For current water level click THIS. Normal level is 634ft. 653 the parking lot, bring your boat. The water recedes at about 4ft/day once the rain has stopped.